On Thursday night, December 6th, 2018, ASCE OC Geo-Institute (G-I)’s 4th Annual Bowling Social & Fundraiser was a hit with nearly 30 geo-professionals and students coming together for a fun night of bowling at Irvine Lanes! Attendees enjoyed two hours of bowling, food and drinks, bonding with old and new friends, and were entered in a raffle at the end of the night. Congrats to Kenny Nguyen from CSU Fullerton’s CalGeo Student Chapter for winning a $25 Amazon Gift Card! All in all, we had an incredibowl time hanging out with fellow geo-professionals and students in a laid-back setting. Most importantly, in the holiday spirit, all net proceeds from the Bowling Social & Fundraiser were donated to help our local universities’ Student Chapters participate in the upcoming 2019 Geo-Congress Student Competitions. 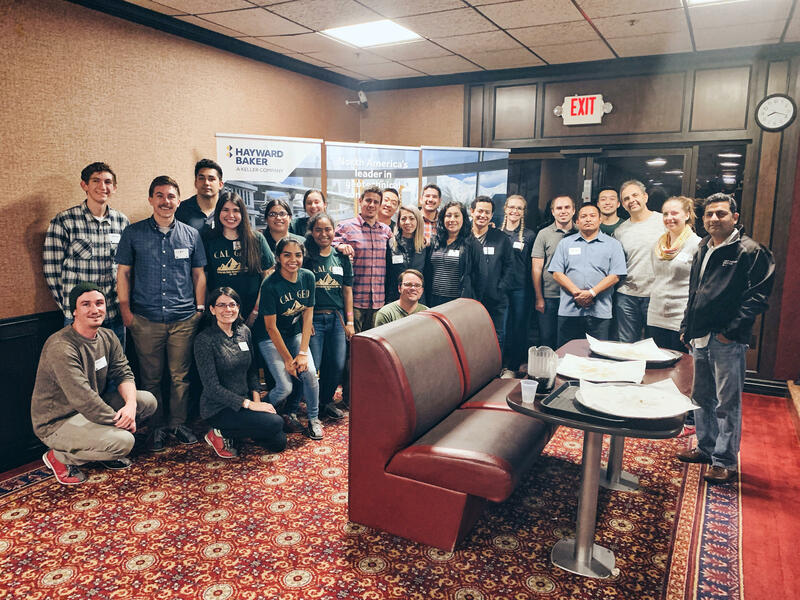 Thank you to everyone who attended and special thanks to our sponsors and representatives: Rick Walsh and Sunil Arora – Hayward Baker; Aaron Bishop – Western Ground Improvement; and Ruta Bandziulis – TenCate Geosynthetics for supporting ASCE OC G-I and our Student Chapters! On Friday, February 22nd, 2019, ASCE OC G-I and Professional Development Committee are co-hosting a half-day continuing education seminar in Irvine. The seminar topic will be on Ground Improvement, and a handful of methods will be covered, including shallow and deep methods. Please see the following [link] for more details and registration. Interested in joining Geo-Institute? Contact us at [email protected]. See you at our next event!